SOS Children’s Villages stayed in the country to help the Somali people when the majority of international relief organisations left. To this day, Somalia remains one of the most unstable and dangerous countries in the world. The security situation makes the work of our organisation extremely challenging. At present there are one SOS Children's Village, one SOS Youth Facility, one SOS Kindergarten, one SOS Hermann Gmeiner School, one SOS Vocational Training Centre, one SOS Medical Centre and one SOS Emergency Programme in Somalia. The activities of SOS Children’s Villages International in Somalia started off in 1983 when an agreement was signed with the former Somali government. The organisation was given a property in Mogadishu where we first began our efforts. Our work in Somalia has been extremely challenging due to the deteriorating security situation in the country. SOS Children’s Villages Kenya works closely together with their colleagues in Mogadishu and forwards reports from there. In 2007, following heavy bombardments of the SOS compound, all SOS families and children had to be evacuated. They were taken to other places in Mogadishu considered to be relatively safe. In 2009, the situation improved somewhat and the children were brought back into the village. At present, the work of SOS Children's Villages in Somalia focuses on Emergency Relief Programmes and medical support. We run one SOS Children’s Village in Somalia that includes an SOS Youth Programme, an SOS Kindergarten, an SOS Hermann Gmeiner School and an SOS Vocational Training Centre. Children whose parents cannot take care of them will find a loving home in one of the SOS families. SOS relies on the kindness and generosity of Canadians to be able to provide a home for the most vulnerable children of Somalia. Please help us ensure a loving home for every Somalian child. Sponsor a child in Somalia now. The country has been without an effective government since 1991 and international efforts aimed at building a stable Somali administration have been unsuccessful. What used to be one of Africa’s most prosperous and thriving commercial centres has turned into the world’s poorest and arguably most violent country. Civil war, famine and diseases have shattered social structures and claimed hundreds of thousands lives. Mogadishu, the country’s capital of 1.3 million, is now a city of anarchy. According to the 2011 Ibrahim Index of African Governance, Somalia is lowest scoring country overall in the four categories assessed: safety and rule of law; participation and human rights; sustainable economic development; and human development. 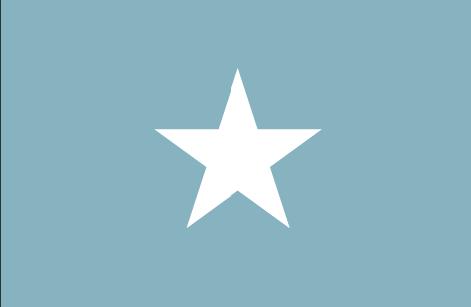 However, some parts of Somalia have enjoyed twenty years of relatively stable existence and peace. Under the self-declared but internationally unrecognised secessionist state “Somaliland” in the country’s north, people have been able to conduct their daily routines quite peacefully. Around 40 per cent of Somalis are in need of humanitarian assistance. Because of Somalia’s extremely high levels of violence, hundreds of thousands of civilians have been displaced. Since January 2010, 200,000 have been forced to leave their homes. In total, the number of internally displaced people in Somalia has increased to an estimated 1.7 million over the past few years. At 0.7 per cent, the HIV prevalence rate in Somalia represents one of the country’s major health problems. However, over the last years a high number of children have also been affected by outbreaks of cholera, diarrhoea and hepatitis. At least some progress has been made with regards to the public health situation in the country: thanks to increased efforts to eradicate polio, no cases of the wild polio virus have been reported since 2007. Life expectancy at birth is only 50 years for the average Somali citizen. An estimated 85 per cent of the country’s population lives in poverty. Regular access to water, food and sanitation is nothing but wishful thinking for most Somalis. In rural areas, only 6 per cent of the population has access to sanitation facilities. The majority of Somalis never attend school. Only 37 per cent know how to read and write. Among women, the illiteracy rate is extremely high at 75 per cent. Somalia is, demographically speaking, a very young nation, with the median age being 17.8 years. High levels of crime deeply affect Somalia’s youngest segment of population. Over recent years, there has been a drastic rise in the number of child casualties and injuries suffered by minors due to the on-going civil war. Many are recruited as child soldiers. Children in Somalia are exposed to incredibly high levels of violence in their daily lives. It is not uncommon for them to be confronted with dead bodies in the streets of Mogadishu. The psychological effects that such images may have on the mental development of a child are evident. 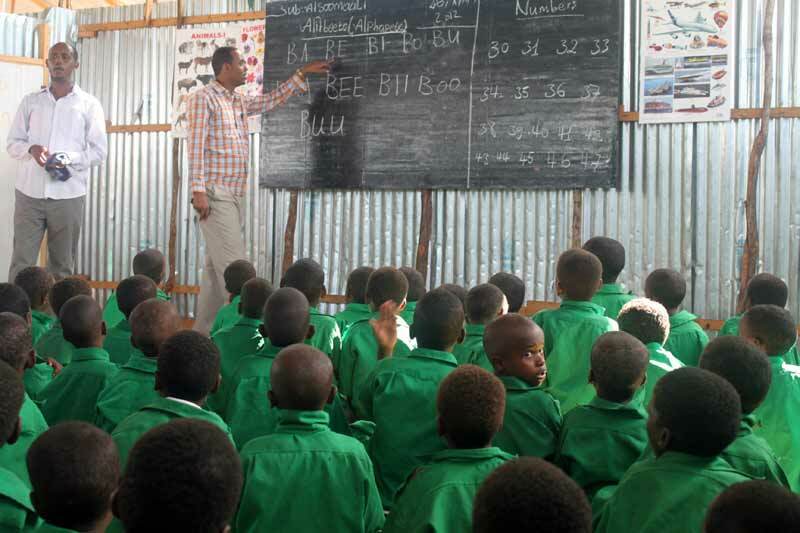 Schooling is available only to a very limited number of children in Somalia. In fact, Somalia is one of the countries with the lowest school enrolment rates in the entire world. A Somali child aged 7-12 has only about a one in five chance of attending school. On average, children only attend school for 1.8 years. Since the collapse of the country’s last central government in 1991, the school infrastructure has been largely destroyed or abandoned. At 105 deaths per 1,000 live births, Somalia is affected by one of the world’s highest infant mortality rates. Owing to a virtually non-existent health infrastructure and extraordinary high levels of violence, chances for a Somali child to survive into adulthood are among the lowest in the world. Undernourishment, lack of potable water, no sanitation infrastructure and life-threatening diseases are only some of the hardships that most Somali children have to put up with.